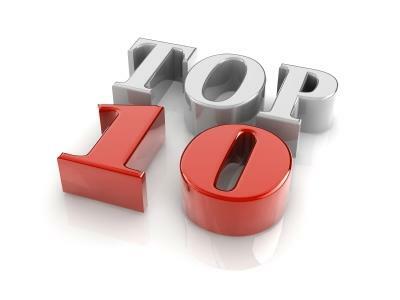 It's Friday, and it's time for another round up of the most popular articles on pharmafile.com over the last seven days. The headlines this week have been shocking in places, with the news of a South East Asia outbreak of 'super malaria' and 19 patient deaths in a recent Intercept trial, though there are promising areas such as a new triple-threat treatment for HIV. Perhaps one of the most hard-hitting stories this week was the news from the EMA that, even in the best case scenario, its relocation as a result of Brexit will still lead to drug approval delays. The decision on the agency's new destination is due to take place int he coming weeks, and we recently spoke to some of the bidders in the race to become the new hosts to understand what the move means - you can read the full feature in our new issue. Allergan's potential therapy for the treatment of NASH hit a major hurdle, after it failed to show any benefit beyond placebo treatment. Perhaps unsurprisingly, after the FDA’s advisory committee had voted 12-1 against approval of Johnson & Johnson’s drug, the FDA returned to the company with a rejection of its rheumatoid arthritis treatment. Indivior has ended a patent dispute with Mylan concerning its heroin addiction therapy Suboxone sublingual film by agreeing to an undisclosed settlement with the company. Intercept Pharmaceuticals had sparked major concerns over its drug, Ocaliva, after it revealed that 10 people had died as a result of its treatment – that concerned escalated as the FDA announced 19 people in total had died. Sanofi and Regeneron have big hopes for their treatment Dupixent, and it has taken an important step towards reaching the blockbuster sales pinned to it with an approval in the EU. Sanofi and the National Institutes of Health (NIH) have combined to create a potential HIV therapy that was shown to effectively protect all animals treated with the antibody. EMA has warned that, at best, it expects to retain only 73% of its staff, leading to approval delays and, at worst, limited drug availability as its resources are put under duress. The MHRA and NICE have been slowly improving the ways that the UK’s patients access medicines, but now Brexit threatens to pull the rug from under the changes. Ben Hargreaves focuses on the improvements EAMS has brought and other subtle changes that are helping patients in need. NICE has passed its final appraisal determination on the Sanofi’s Kevzara (sarilumab), recommending its use in combination with methotrexate in the treatment of severe, active rheumatoid arthritis.